Several weeks after embattled former U.S. Rep. Blake Farenthold abruptly resigned from Congress, Texas Gov. Greg Abbott called a special election to fill his seat, the winner of which will finish out Farenthold's term, which ends in January 2019. Special elections only happen when a lawmaker leaves office with time left in their term. Farenthold announced his retirement in December, which created an open-seat race in Texas' 27th Congressional District to succeed him. Then in April, he abruptly resigned — a decision that came after several tumultuous months where the four-term congressmen was dogged by sexual harassment allegations and an ongoing ethics investigation. "While I planned on serving out the remainder of my term in Congress, I know in my heart it's time for me to move along and look for new ways to serve," he said in a statement. Farenthold offered no further explanation for why he will not complete the final eight months of his term. The race to fill a vacant seat typically falls on one of the state's uniform election days: the first Saturday in May or the first Tuesday in November. But Abbott chose to schedule a sped-up special election, something he can do if he determines there is an emergency that warrants doing so, said former Texas Ethics Commissioner Ross Fischer. In this case, Abbott has argued that the Coastal Bend-area district can't wait until next year to have a new representative because it is still recovering from Hurricane Harvey. A special election to fill an open U.S. House seat in Texas is essentially no different than filling a vacancy in the Texas House, according to Sam Taylor with the Texas secretary of state’s office. The only exception is that with unexpected vacancies in the state House, there’s a provision in the Texas Election Code that allows elections to be expedited if the vacancy occurs “during a regular session of the Legislature and more than 25 days before the last possible day of the session” or during the 60 days leading up the convening of any session of the Legislature. Early voting is currently underway for a May 5 special election to fill the Texas House seat left open by state Rep. Leighton Schubert, R-Caldwell, who announced in January that he was resigning to take a job at a local junior college. Special elections play out differently than the races that voters weigh in on in November. The biggest difference: There are no primaries preceding special elections. “It’s open filing, so that means multiple members of the same party can file for that seat all at once,” Taylor said. “So you can conceivably see three Democrats and three Republicans file for the same election and all be on the special election ballot." We’re already seeing this in the race to replace Farenthold. As of Thursday afternoon, both Republicans Bech Bruun and Michael Cloud, who are already set to face one another in the May 22 runoff race to represent the district for a full term, have filed for the special election. But a third Republican, Corpus Christi doctor Marty Perez, has also filed for the seat. Democrat Eric Holguin told The Texas Tribune he also plans to file for the race. Beyond Republicans and Democrats, third-party candidates can also file for special elections and can have an easier path to the ballot than they would otherwise. Getting on the general election ballot typically requires a third party to have drawn more than 5 percent of the vote in a statewide race during the previous election cycle — and only Libertarians reached that threshold in 2016. To get on a special election ballot, third-party candidates face the same requirements as Democrats and Republicans. With more than two candidates on the ballot, it’s possible no one person will receive the majority of the vote. If that happens, the top two vote-getters will go head-to-head in a runoff election. If the race goes to a runoff, it is, by law, supposed to fall 10 to 11 weeks after the votes are certified — which can take up to 24 days (individual counties get 10 days to canvas, then the governor's office gets 14 days). In the case of Farenthold’s special election, that could put a runoff race at the end of September. Over the months it takes for the special election to play out, Farenthold’s district will remain without representation. The filing fee for a place on the special election ballot for an open U.S. House seat is $3,125, or a candidate can collect 500 signatures from registered voters in the district. Both are due by whenever the governor proclaims as the candidate filing deadline. For Farenthold’s seat, the deadline is Friday at 5 p.m. 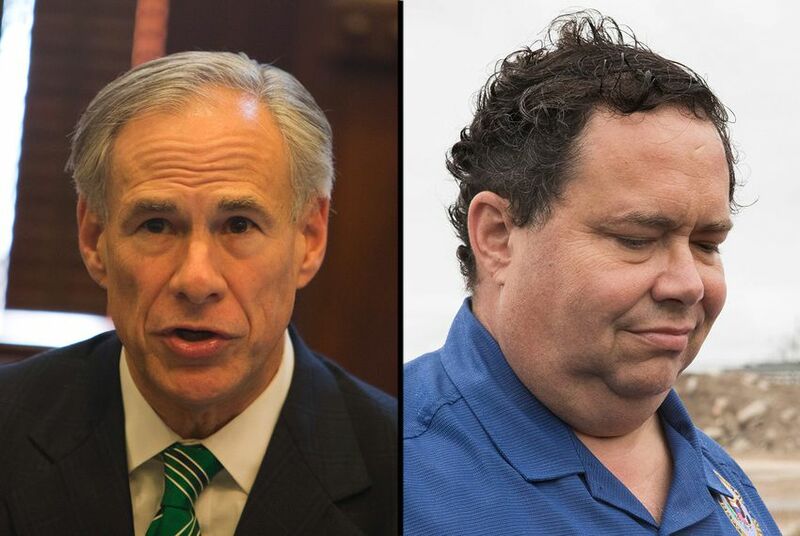 In 2010, Blake Farenthold beat a Texas Democrat who seemed invincible. Will a Republican face the same fate in 2018?